The Pacific Coast Association of Fire Chiefs, later named the Pacific Coast Inter-Mountain Association of Fire Chiefs. A regional division of the International Association of Fire Chiefs, today known as the Western Fire Chiefs Association. Founded in 1891, Story coming. 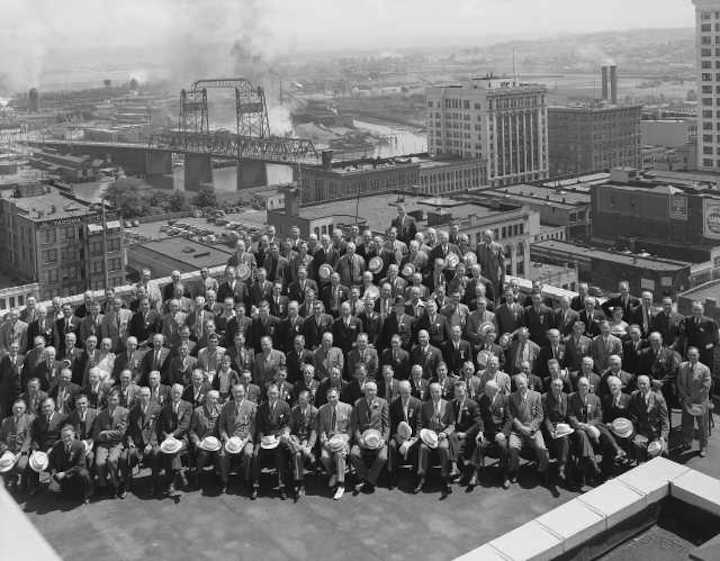 The annual meeting of the Pacific Coast Fire Chiefs Association was held in Tacoma WA in 1940. Several FD's in Marin were active in this group, and a meeting was hosted in Larkspur in the 1920's - photo coming. This group was the forerunner to today's Western Fire Chiefs Association.